I grew up in the days when the Internet was just becoming accessible on a wide scale. 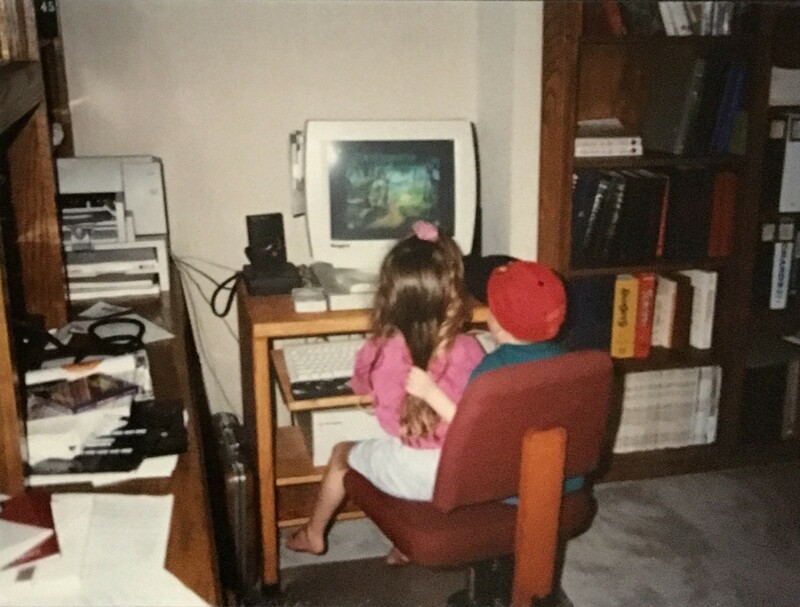 My family did have a computer (a Macintosh, first a bland beige square, then later, a curved machine with clear panels the color of sea glass), but my brother and I barely used it. Sometimes we would play a computer game, but we were more interested in our Legos and books and board games. We spent a lot of time outside, playing soccer or rollerblading with our friends. We didn’t have cell phones, so if we wanted to invite someone over to play we had to call using the family land line. I had my best friend’s phone number memorized. For a little while, the popular thing to do was to use walkie talkies to communicate. Of course, you had to live fairly close to use this method, but that wasn’t a problem — without social media, I didn’t know anyone outside of the few mile radius that constituted the zoning for my school. I didn’t even have a pen pal. My world was very small, and very tight-knit. Sometimes I would just walk around my backyard and look at the plants, climb a tree and sit there thinking. Just thinking. Not only could I hear myself think, my thoughts were full of imagination and hope. I wrote stories in big lined notebooks, poems and songs in a pocket notebook I took everywhere. There was inspiration in everything. 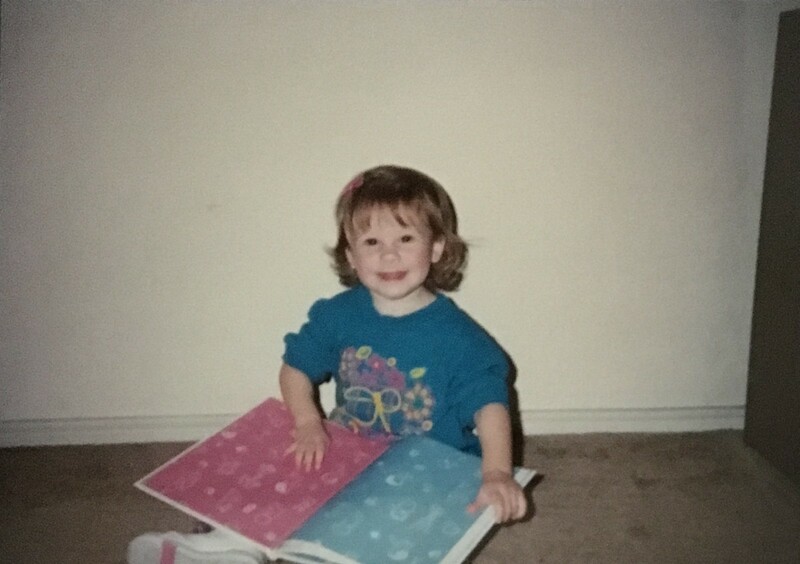 Before the Internet was a constant presence, before the threat of content, before the fear-of-missing-out, my mind was an open space free of distractions. There was a freedom in disconnection. There was a freedom in not knowing how disconnected we were, and how intertwined we would come to be. We couldn’t foresee how our identities would be shaped by the things we choose to display about our lives in the most public of spaces — the lack of mystery, the strain of authenticity. I had a film camera that made every shot precious. Every few weeks I would get the film developed, and flip through the photos without anxiety; sure, some of them would be duds, but it wasn’t a big deal. They were candid and carefree photos, not like the labored and studied “pics” of today. If you missed the perfect shot it was okay — you had the memory, and that was more than enough. Hardly anyone saw those photos but me, maybe my family or my best friend, and it never would have occurred to me to worry if they liked them. I wasn’t looking for an audience, or validation. What I remember most is the quiet. No hum of electronics constantly on in the background, no chirrup of notifications. There was a calmness in being unplugged. Things changed as I became a teenager. By then Myspace was around, everyone had email, and cell phones were starting to gain new capabilities beyond phone calls and Snake. I still read voraciously and wrote a lot, but I spent an hour or two every evening on Instant Messenger talking to friends. In high school I got a cell phone, first a flip phone and then an iPhone with all its endless distractions. For a while it still felt like you were just doing things online, then one day, you suddenly were online, and you were hardly ever offline in any real sense — still logged on, still reachable. The avalanche of messages and content threatened to consume you at any moment. There are days when my devices feel like anchors weighing me down. I love the Internet, don’t get me wrong. I love being able to talk to people states and even countries away from me. I love the wealth of information available with just a click. I love the online communities that make me feel welcome and seen. But I miss living without the expectation of always being available. I miss the cozy quality of light in a room devoid of glowing screens. And I miss that feeling of freedom that comes from creating something — whether it’s a poem or a photo or a homemade meal — without the compulsion to share it. If you photograph a tree and don’t Gram it for everyone to see, does the photo matter? Of course it does; art is justified by its mere existence, by the process and the pleasure of creating it. But the rapid pace of today’s technology grips us with a desire to consume that art — and also the banal (take the existence of Instagram Story templates and their predecessor, the Tumblr “survey,” for example). I wonder some days if this reliance and, let’s just say it, addiction to technology has changed us irrevocably as a society. I know it has changed how I relate to myself. It’s changed how I relate to the natural world (something I am trying to remedy by being more mindful of my surroundings when I’m outside, and mindful of the food I eat). And it’s definitely changed how I relate to other people. I often have good intentions of taking a “digital detox,” but half an hour in I’m already wondering what my friends are up to and what news I’ve missed. I worry that even my closest friends might find me aloof for not liking their latest Instagram photo or texting them regularly during these self-imposed Internet exiles, even if taking a break feels necessary for my sanity and creativity. Just deactivating my Facebook account was stressful — how would I ever hear about events going on, since nobody sends invitations anymore? I knew I was going to be left out of so many things. But I couldn’t ignore the sense that any time I spent on that website was wasted time. How could I cultivate my time in a more meaningful way? I know that short of becoming a hermit there’s no way of going back. This is the world we live in now. But there has to be a way to find a happy medium. I try to meet with friends in-person more often than texting. I am starting to avoid social media during the traditional workday. And I cultivate my analog hobbies with fervor — reading, knitting, listening to my vinyl collection, cooking from an actual cookbook instead of a Pinterest window. It doesn’t take away all of the pressure to plug in, but it helps. I think about that tree outside my childhood room. I wonder if another kid lives there now, and if they climb that tree like I did to get away from the world and just imagine, or if they are already being tugged away by the siren song of technology. I hope kids are still taking the time to go outside and feel free, untethered from the expectations of connectivity. But I have a feeling my generation may have been the last to enjoy that kind of peace.